Portland modern homes are all the rage. As homeowners simplify their lives, new modern homes make it easy to live in a beautiful space that’s both uncomplicated and sustainable. Aesthetics: The balance of structural efficiency, sleek design and symmetry make modern homes aesthetically pleasing. The bold exteriors and glass elements are softened with natural elements like wood and stone. The sharp, clean lines make the most out of every space and offer a timeless look. Open floor plans: Rather than close off rooms with walls, modern homes feature open floor plans that maximize the amount of useable space, light and airflow. Natural light: The best, most attractive type of light is natural light. Modern home builders maximize the amount of natural light that enters a new modern home with strategically placed large windows that don’t compromise privacy. Energy efficiency: Because they’re built with the latest materials and incorporate energy-saving appliances and technologies, today’s modern homes are simpler to maintain, cost less to live in and are earth-friendly. Customization: Smart designs and storage solutions make modern homes simple to customize or expand based on your family’s changing needs. Therefore, your home adapts to you; not the other way around. 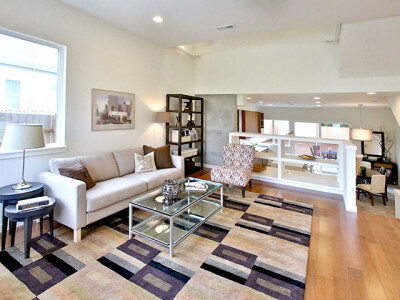 To learn more about the Portland area’s available new modern homes, contact H. Hudson Homes.